R3, the startup that raised USD 107 million in 2017 to bring blockchain harmony to the financial sector may be running out of money, as reported by Fortune on Thursday. Launched in 2014, R3 developed the Corda Distributed Ledger Technology and founded a consortium joined by the likes of Goldman Sachs and JP Morgan. In the years following the consortium’s foundation, several dozen additional partners were added and R3’s future was looking bright. Trouble started for the company in 2016, when several major members of the consortium, including Goldman Sachs and Santander, backed away from the group, rumored to have been put off by how quickly and indiscriminately membership in the community had grown. In spite of the setback, R3 announced in May of 2017 that USD 107 million had been raised in an initial round of fundraising and that an anticipated USD 200 million in total would be collected from members of the consortium. Fortune is now reporting that, far from the widely reported USD 200 million figure, R3 raised just USD 15 million from three additional partners. In an email statement, R3 said the USD 200 million was based via a one-time plan to sell stake in a research subsidiary that had subsequently been shelved. Sources also said that the USD 107 million figure from May 2017 was overstated and included nearly USD 10 million in consulting fees and other sources of funds that were counted as equity. Former employees and other sources interviewed by Fortune alleged complaints about company culture of excessive spending, ranging from first and business class flights and pricey London and New York office real estate to executive pay that was described as ‘outrageous’. But the real issues at R3 may lie deeper – the work of building a successful consortium, wrangling with banks (that take a hands-off approach to software development and have little experience working in sync to make collective decisions about technology standards) may prove to be more challenging than shrinking top line spending. 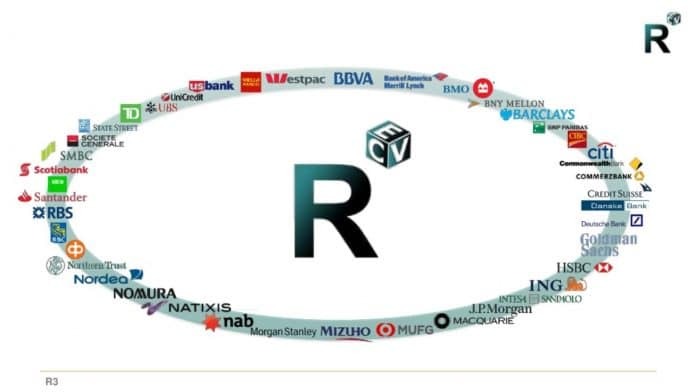 The loss of J. P. Morgan and a partnership with the non-financial company Bloxian Technology indicates that R3 finds itself needing to take an increasingly proactive role in supporting and promoting their Corda DLT to enterprise customers and developers alike. Developer interest in the Corda software has also been said to be hampered by R3’s decision to keep some parts of the Corda codebase proprietary, while still claiming the platform is ‘open source’. While Charley Cooper, a managing director at R3 says that an enterprise version of the software adds a few extensions for business use, mistrust had plagued the ecosystem. Developers see R3’s behavior as a tactic to gain the goodwill of an ‘open source’ label while still profiting from proprietary sales of code that may have been influenced by unpaid contributors. R3 boasts 1,300 architects contributing to Corda, claiming the number to be substantially higher when unofficial contributors are included. But, for a technology facing competition from Microsoft and the JPMorgan Chase–backed Enterprise Ethereum Alliance (which has over 10,000 contributing developers) and IBM favorite Hyperledger, figures like 350 contributions to the codebase since its inception may not be enough to sustain interest in – or revenue for – the business. “Instead of hiring tech people, they started hiring bankers and guys in suits who don’t know much about technology,” said a former employee. Former employees claiming knowledge of financial metrics and performance predicted R3 could run out of capital as early as the first quarter of 2019 – an assertion that was swiftly denied by Cooper. “We currently have more than sufficient funding and at this point have no plans to raise additional money,” he said. But R3 may be relying on expected cash from a lawsuit involving 5 billion XRP coins the company says are owed to them by Ripple (a charge for services the latter claims were never provided). Absent this lifeline and many analysts are forecasting a possible buyout by Microsoft, Oracle, IBM or another tech behemoth looking to strengthen their blockchain stack.